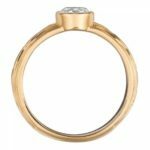 A bezel setting is designed to completely encompass a Gemstone’s Girdle, insuring a smooth edge and a secure stone. 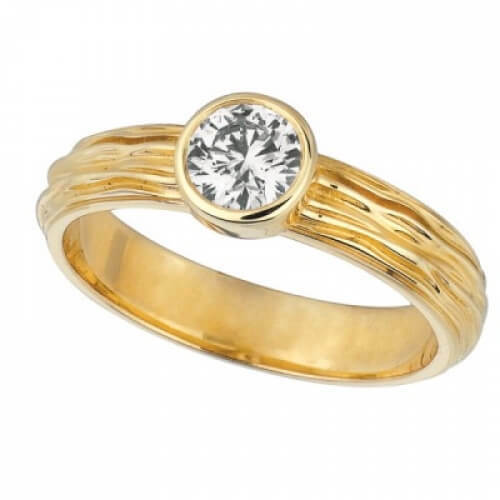 This Bezel Set Diamond Solitaire ring is artistically created from 14-karat Yellow Gold and showcases a gorgeous 0.50CTW round cut diamond. 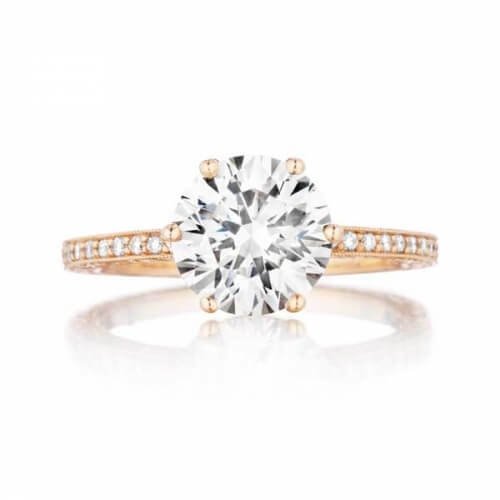 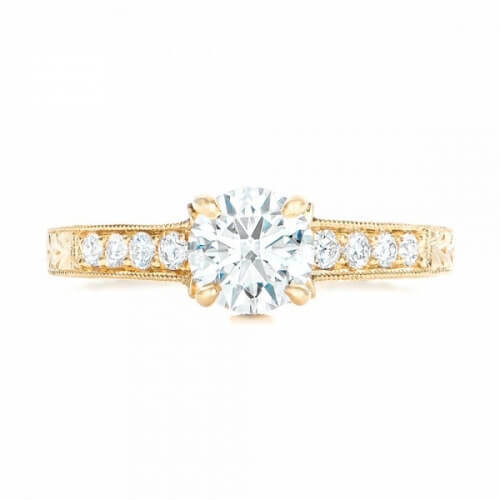 The ornate shaft gives this diamond solitaire ring a unique look. 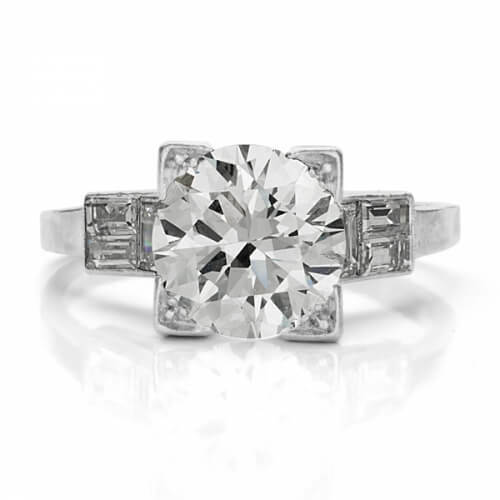 Bezel set Solitaires play both engagement ring and right hand ring roles flawlessly.